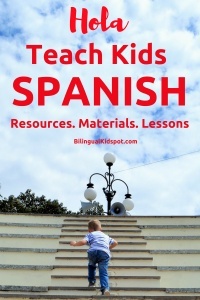 Learn Spanish for Kids: A list of Spanish language learning materials and resources to help teach kids Spanish. 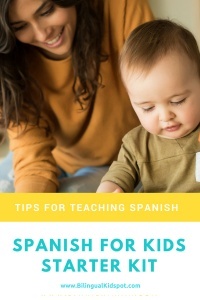 Whether you want your child to learn basic Spanish, or are raising your child bilingual with Spanish and a second language, this list should get you started. There are numerous reasons kids should learn Spanish. Did you know that Spanish is one of the most spoken languages in the world? Check out our Spanish Speaking Countries post to see where Spanish is spoken! Spanish is also a language where there are endless resources available. If you don’t have anywhere local where you can purchase Spanish language learning materials, don’t stress because you can find a variety of websites online to help teach kids Spanish which I have listed below. Learn Spanish For Kids : Bilingual Kidspot have a NEW series which includes mini Spanish lessons for kids posted every week with FREE printables to enjoy. Teach kids Spanish and learn Spanish online with your kids without spending a cent! 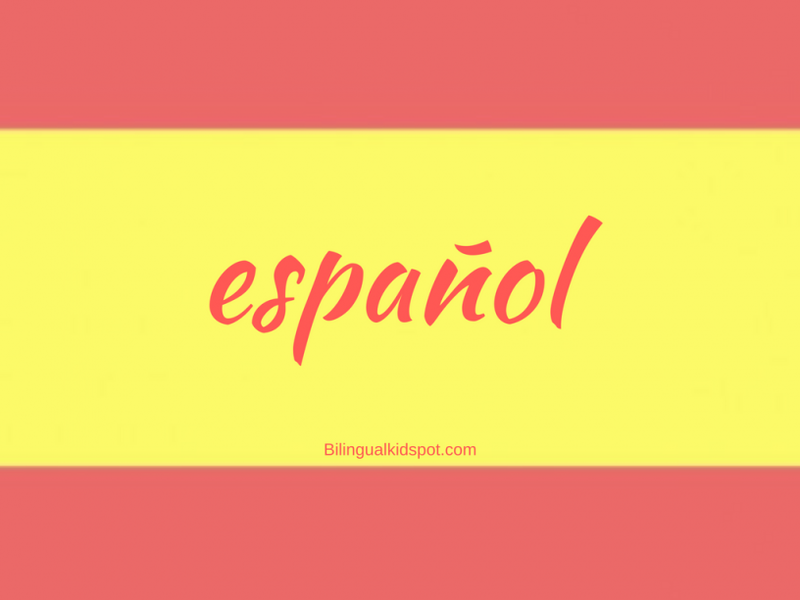 You can check out the Spanish Starter Kit, and there are some great lessons on learning Spanish Numbers, Spanish Greetings and much more. Spanish for kids has never been easier to teach with these fantastic Spanish learning websites and blogs that contain resources and materials to help your child learn Spanish. Run by Spanish teachers, these Spanish blogs include lots of Spanish and bilingual worksheets, and printable Spanish and bilingual materials to help teach kids Spanish and help your little one on their language learning journey. Spanish Mama has a fantastic range of materials to teach kids Spanish. You will find many useful resources for both teachers and parents including Spanish lessons and printable materials. 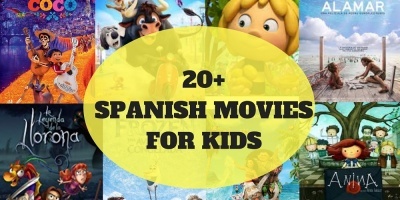 Spanish Mama also hosts the Learn Spanish for Kids Series mentioned above on Bilingual Kidspot. See website here. 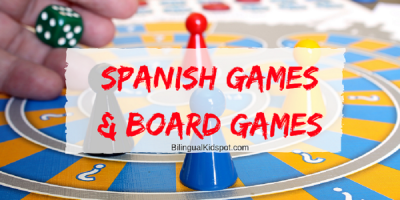 Spanish Playground shares language resources for teaching children Spanish, with an emphasis on communicative instruction. You will find songs, games, activities and printable materials for Spanish learners, and also native speakers. See website here. 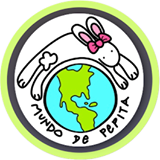 Mundo de Pepita features a series of printable resources for teaching children Spanish. You will find mini books, activity packs, games, and more. Resources are contextualised for maximum language acquisition. They integrate high frequency vocabulary in each story line and activity, and meet ACTFL standards. Lesson plans and ideas come with products to support the educator. See website here. 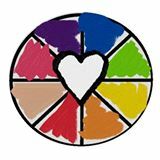 For the Love of Spanish offers fun ideas for learning Spanish at home or in the classroom through play, literature, games, art and more. You can also find support for the high school classroom and free printable materials and worksheets. See website here. 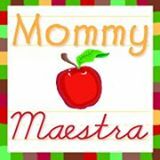 Mommy Maestra is a site for Latino parents who home school or want to be more involved in their children’s education. You will find Spanish resources and materials for bilingual educators, and families with children in dual language immersion. Readers will also find resources for bilingual homeschoolers, such as a Master List of Spanish Curricula and reviews of Spanish-learning programs. See website here. This list of Spanish Books For Kids includes an extensive book list for children of all ages. 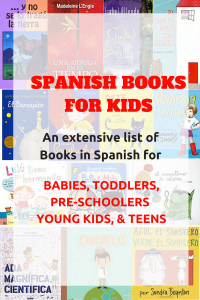 This Spanish book list includes board books for babies and toddlers, story books for young and older kids, and novels for teenagers. Here you can find a range of Spanish books for all ages. 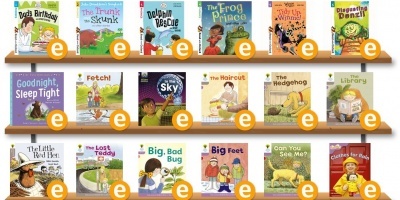 Audio books are a big hit in our house, and Unite for Literacy have a fantastic range of free online Spanish Bilingual Audio Books that you can access any time. The site can be in English or Spanish and you can choose which language to listen to while following the book. Check out the site here. One Third Stories also have some really fun books which start in English and finish in Spanish. These are great for introducing the Spanish language to kids. Check out our Review of One Third Stories for more info. 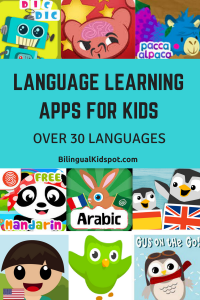 Check out this list of language learning apps for kids. Many of these apps included are to help teach kids Spanish. Even if your child doesn’t speak any Spanish at all, a language learning app is a great way to introduce the Spanish in a fun way. Kids will love these Spanish cartoons. 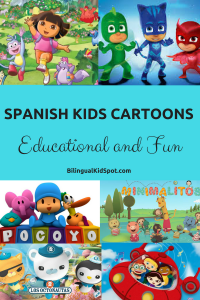 Although they won’t teach your child Spanish, if they can’t speak any Spanish at all, once your child has learned at least the basics of the Spanish language, the cartoons can provide more exposure. Do you know of any another resources to help teach kids Spanish? Please let us know. We are always looking for great Spanish language learning resources to add to our Spanish for Kids resource list! Looking for English resources? Check out our Teach Kids English post! Raising a bilingual child? Why not subscribe to receive other related articles. 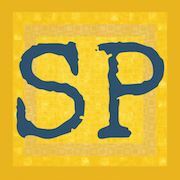 Like our Bilingual Kidspot Facebook Page , Follow on Twitter, and join the Bilingual Kidspot Discussion group!